São Tomé Day is a public holiday in the Democratic Republic of São Tomé and Príncipe celebrated on December 21. It commemorates the discovery of the island of São Tomé by Portuguese navigators around 1470. The island of São Tomé is located in the Gulf of Guinea. It was discovered by Pêro Escobar and João de Santarém sometime between 1469 and 1471. The explorers arrived at the island on the feast day of Thomas the Apostle, December 21, and named it São Tomé (Saint Thomas) in honor of the saint. Before the arrival of the Portuguese, the island was uninhabited. In 1493, Álvaro Caminha established the first successful settlement of São Tomé. However, attracting settlers proved difficult, and most of the island's earliest inhabitants were Jews and other “undesirables” sent from Portugal. Subsequently, the Portuguese began to import slaves from the mainland to work on sugar plantations. São Tomé and Príncipe achieved its independence from Portugal in 1975. However, the islanders still celebrate the anniversary of the discovery of the island by the Portuguese. 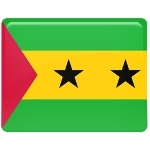 São Tomé Day is celebrated throughout the country with festive events and activities. As it is a national holiday, all government offices, educational institutions and most businesses are closed for the day.